This week marks the third month of my series, Celebrating Mysteries. Time flies! 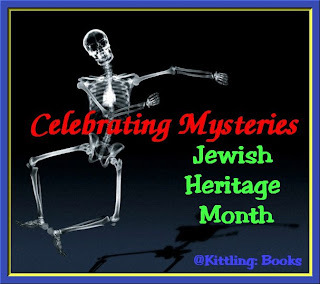 Since May is Jewish-American Heritage Month, I'll be taking a look at all things Jewish, whether it's the author, the characters or the settings. For this first week, I'm taking a look at four authors who write wonderful historical mysteries. Let's get started! 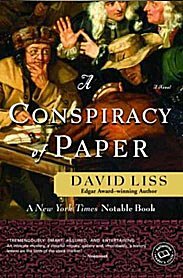 David Liss, a one-time encyclopedia salesman, writes an award-winning series set in eighteenth-century London, England, featuring Benjamin Weaver, a Jewish ex-pugilist hired by the gentry to pursue debtors and thieves. This remarkably accomplished first novel, by a young man still completing his doctoral dissertation at Columbia, has a great deal going on. It is at once a penetrating study of the beginnings of stock speculation and the retreat from a mineral-based currency in early 18th-century London, a sympathetic look at the life of a Jew in that time and place and a vision of the struggle between the Bank of England and the upstart South Sea Company to become the repository of the nation's fiscal faith. If all that sounds daunting, it is above all a headlong adventure yarn full of dastardly villains, brawls, wenches and as commanding a hero as has graced a novel in some time. He is Benjamin Weaver, a Jewish former boxer who had once abandoned his family, and virtually his faith, too, for a life on the fringes of criminal society as a kind of freelance bailiff who brings debtors to book for their creditors. When his uncherished father dies suddenly, however, and he has reason to suspect the apparent accident was actually murder, he plunges himself into a hunt for those responsible, and in the process changes his life. With his native cunning and his brawling skills, he soon finds himself deeply embroiled with the villainous Jonathan Wild, thief-taker par excellence, who has institutionalized criminal mayhem. He also becomes the pawn of some powerful financial giants lurking in the shadows (much like the corporate villains in contemporary thrillers), comes to suspect his glamorous cousin Miriam of actions unbecoming a lady and employs the wiles of his philosophical Scottish friend Elias to decode the mysterious ways of finance and the laws of probability. The period detail is authentic but never obtrusive; the dialogue is a marvel of courtly locution masking murderous bluntness; and the plot, though devious in the extreme, never becomes opaque. It seems clear that Weaver is being set up as a series hero, which can only be good news for lovers of the best in dashing historical fiction. 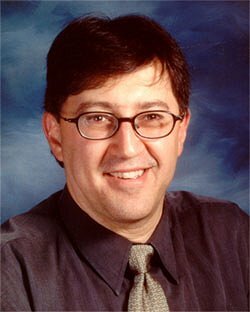 Allan Levine is an historian who writes a series of mysteries featuring Sam Klein, a street-wise Jewish immigrant and private investigator during the 1910s in Winnipeg, Manitoba, Canada. Sam Klein is a streetwise minder at a local brothel who investigates the murder of a Polish girl — a murder blamed on a North End rabbi. His search for the real killer is frustrated by battles with ethnic intolerance and with authorities who insist they've found their man. 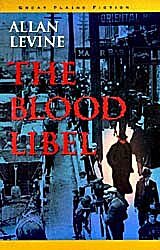 The Blood Libel brings the vivid, turbulent times of turn-of-the-century Winnipeg to life, using the "wickedest city in the dominion" as a setting for this complex and chilling mystery thriller. The novel captures the indomitable spirit of immigrant life in Winnipeg's fabled North End, and creates a detective hero for the ages in Sam Klein, whose pursuit of justice goes to the heart of the immigrant experience as "foreigners" in a strange, new land. 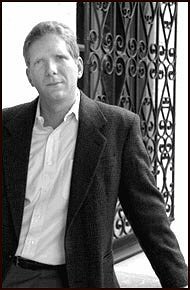 Photo-less Richard Parrish has written a series of mysteries starring Jonathan Rabb, a Jewish lawyer in the late 1940s and early 1950s, who works with the Bureau of Indian Affairs in Tucson, Arizona. It's 1946, and Joshua Rabb is the new lawyer for the Bureau of Indian Affairs' San Xavier del Bac Papago Indian Reservation. Rabb is a Brooklyn Jew who lost his left arm in World War II and his wife in an accident, and he has come to Tucson for his health. In his first days on the job, Rabb encounters anti-Semitism, a corrupt senator, and a murdered nun. 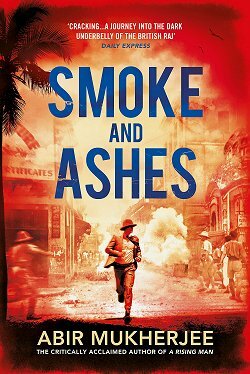 When the chief's grandson is accused of murder, the Papagos hire Rabb to defend the young man--and thus begins the tale. 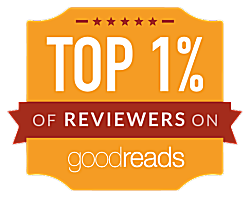 This novel's Southwestern setting and Native American characters will lead some readers to compare Parrish with Tony Hillerman. But while Hillerman's books are steeped in Navajo culture, the success of Parrish's debut hinges instead on the strong characterization of Joshua Rabb. Clinical psychologist Frank Tallis is the author of the Max Liebermann mystery series. 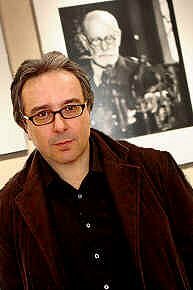 Max is a psychoanalytic detective in turn-of-the-twentieth-century Vienna, Austria. In 1902, elegant Vienna is the city of the new century, the center of discoveries in everything from the writing of music to the workings of the human mind. But now a brutal homicide has stunned its citizens and appears to have bridged the gap between science and the supernatural. 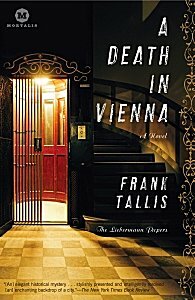 Two very different sleuths from opposite ends of the spectrum will need to combine their talents to solve the boggling crime: Detective Oskar Rheinhardt, who is on the cutting edge of modern police work, and his friend Dr. Max Liebermann, a follower of Sigmund Freud and a pioneer on new frontiers of psychology. As a team they must use both hard evidence and intuitive analysis to solve a medium’s mysterious murder–one that couldn’t have been committed by anyone alive. These four authors total a lot of mighty fine reading, and I hope I've tempted you to try some. 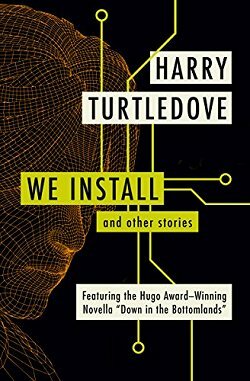 If you already have, which book(s) did you read and what's your opinion? Don't be shy! 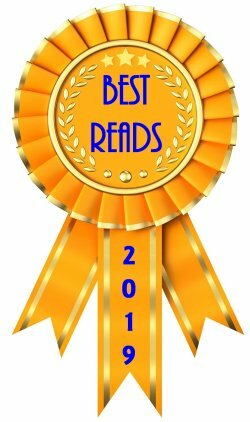 As always, a vote of thanks to my crime fiction think tank, 4 Mystery Addicts, the members of which are extremely helpful in helping me narrow my choices of authors to highlight. 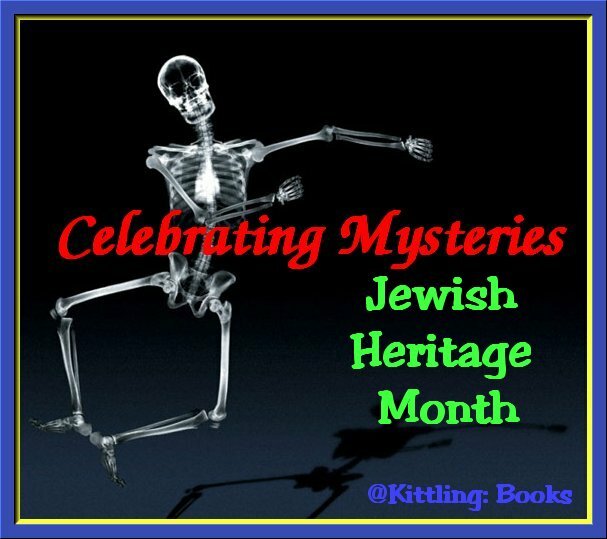 Join me next weekend when I'll be highlighting more Jewish crime fiction! I may have to pick up the Vienna books. You have such great ideas for posts. Have you read Rebecca Cantrell´s Hannah Vogel series? Not written by a Jew, but with an interesting, Jewish protagonist, set in Berlin. A great post, great idea. I have my own suggestion to make: Have you read O JERUSALEM by Laurie R. King? It features King's heroine Mary Russell, who is a young Jewish scholar AND the apprentice of none other than Sherlock Holmes. It helps if you've read THE BEEKEEPER'S APPRENTICE but it's not strictly necessary. O JERUSALEM takes place mostly in and around the old city just after the end of WWI. It is a not only a great adventure story with wonderful characters, but it is also a terrific way to learn a bit about the Palestine that was at that particular point in time - for those of us (like me) who maybe didn't know all that much about it. Candace-- I hope you do! Dorte-- Thank you! I think I may be covering those books in a future post. Yvette-- I haven't, but I certainly love the suggestion. Thanks!